of metal and aluminum pieces. – it’s as simple as that. 01. How Does Plasma Cutting Work? While plasma cutters can come in a variety of shapes and sizes, they all work on the same process. First, the plasma cutter will send a pressurized gas, such as nitrogen, argon or oxygen through a small channel which contains a negatively charged electrode in its center. As power is applied to this electrode, light contact is made with the end of the plasma cutter nozzle and the metal to be cut, creating a circuit. This circuit then generates a spark, which heats the gas (from step one) as it passes through the channel until it reaches the fourth state of matter (plasma). This reaction creates a direct stream of plasma that is approximately 30,000 F, moving at 20,000 feet/second, which melts the metal to a molten slag that is easily manipulated. 02. What Are The Advantages Of Plasma Cutting? The plasma cutting process is a cost-effective, efficient method to cut through large sheets of metal with precision and ease. 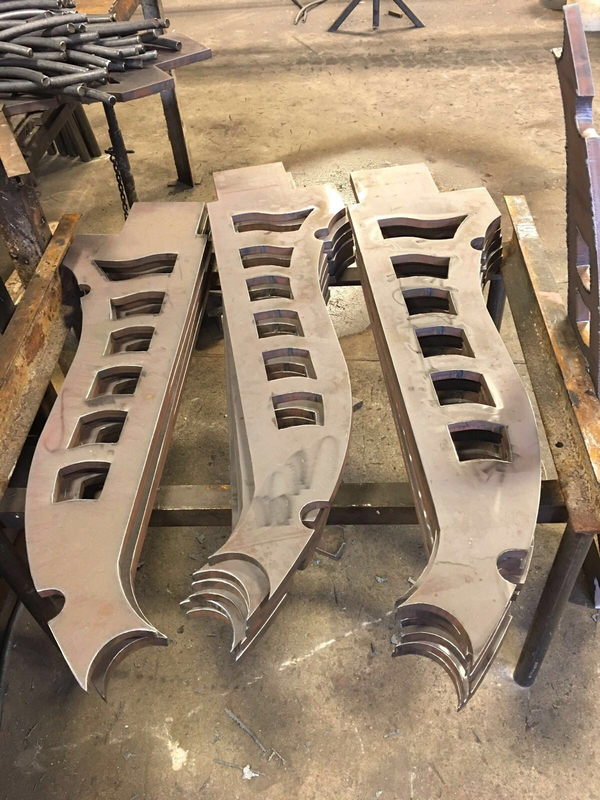 Although not as precise as laser cutting, plasma cutting requires no custom tools, and it is especially suited for cutting through thicker metals in comparison. Plasma cutting is often used on a variety of applications including fencing, railings, gates and architectural metal components. It’s most commonly applied to materials such as aluminum and carbon steel. Each of our pieces is constructed with meticulous attention to detail. We work closely with you to design, customize and create a piece that seamlessly fits into your vision and design aesthetic. Simply have the thickness, material and size of your sheet to be cut on hand and we'll deliver you a well-thought out price reflective of our excellent reputation for craftsmanship and customer service.